As of today, we have 12 confirmed Candidates for the 12 board positions and I do have to accept any additional candidate forms up to and including April 13th. The OLBA Members are very fortunate to have such a talented slate of directors for 2019-20, and we thank them all for their personal commitment to the sport of bowls! If you have new ideas or can assist on the 23 sub-committees of the OLBA. Each member is welcome to phone or email any of the candidates. Volunteering is the ultimate exercise in democracy. You vote in elections once a year, but when you volunteer, you vote every day about the kind of community you want to live in”. My name is Steve Schuknecht. I seek the position of President of Ontario Lawn Bowls. For the past 19 years I have been bowling in Chesley. I am a Past-President of the Chesley Bowling Club. I take the tournament entries for the club and continue to be the club’s greenskeeper. I am the District 8 Chairperson and have held this position for several years. In this capacity I have chaired district meetings, convened and supervised district playdowns and acted as liaison to the OLBA Executive. I have been on the Board of Directors of the OLBA for the past 2 years. I have acted as the Boards’ Youth Director during this time. I have also convened Ontario Championship competitions. As a bowler, I have represented District 8 at numerous Ontario Championships. In 2013 I played at the Canadian Championships in Vancouver. I believe that I have the qualities and experience, both on and off the greens, that are needed for the role of OLBA President. I have an honest and direct style of communication. I am a good listener and I am open and responsive to all OLBA members ideas and concerns. I am very approachable and accommodating. I am very much a team player. I am open-minded and flexible. I deal with conflicts in a respectful and non-confrontational manner. I am a good problem-solver. I am willing and able to commit to the time and effort required to fulfill all obligations as your President. 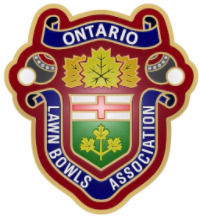 I would consider it an honour and a privilege to serve as the next President of Ontario Lawn Bowls. I am asking for your support for election to the position of President, Board of Directors, OLBA. Elected to the OLBA Board of Directors in 2015 and appointed by the Board with responsibilities for grants and funding. Elected as Vice President and (director grants and funding) in 2016 and again in 2017, during which time I completed the updated application process for OLBA to be qualified as the Ontario Provincial Sport Organization (PSO) for lawn bowling. Completed the revised application process for a grant for the 2017 – 2019 Ontario Amateur Sport Fund which resulted in OLBA receiving a funding allocation of up to $29,410 for each of 2017 and 2018-19 (a total amount of $58,820 over two years). Chaired committee responsible for the development of the OLBA Strategic Plan 2019 – 2022, annual OLBA operational plan reporting template and developed policies (23) in compliance with funding requirements as posted on the OLBA governance and policy section of the OLBA website. Completed Ontario Trillium Fund registration criteria to enable OLBA member clubs to apply for 2017 Capital Grants. Supported Whitby and Beeton LBC Trillium grant applications, both of which were successful. Provided over 20 letters in support of Club applications for funding under the federal New Horizon program. Elected to Leaside Lawn Bowling Club as vice president 2007, president 2008 (four years). Other club positions included greens director and director special events, LLBC District Representative. Introduced “Rock n Bowl program”, resulting in ongoing success in the recruitment of curlers from Leaside Curling Club to Leaside LBC . Introduced corporate team building programs and developed various ongoing relationships to assist charitable organizations with fundraising including Lawn summer Nights - Cystic Fibrosis, Stephen Leacock Foundation and a significant number of community events over the past nine years. (over $10,000 continues to be raised annually to support club development). Australia, employed by the Defense Department for 20 years (six in active service in the Royal Australian Navy) and as a civilian in senior administrative and management roles. 2012 Founding Member of Leaside Sports Hall of Fame, current Board member and secretary. Sixteen years experience as board member of two condominium boards (nine years as president). In 2012 Queens Jubilee Medal for Community Service (Leaside LBC). All of the above was accomplished with the assistance and support of my wife and lawn bowls partner Adele. lawn bowling for 19 years and have entered numerous competitions & tournaments and played in Provincial playdowns on several occasions. District Chair for numerous years as well as President of the Tilbury Lawn Bowling Club for the past several years. I have completed level two Umpire course as well as having completed the coaching course. board of directors and secretary/treasurer for the Tilbury Golf and Curling Club for 26 years as well as chairman of the curling leagues. board of directors for the Tilbury & District Chamber of Commerce for 24 years, Treasurer for 12 years, and was the initial organizer of the Business Improvement Area (BIA) in Tilbury. Iowned my own business, did my own books for 25 years and now maintain books for my own rental properties,the farm and several other small retail and rental operations. supervise the maintenance of books for a large restoration business. chairman of a trust fund for the municipality of Chatham Kent responsible for several hundred thousand dollars. board of directors and Treasurer of the Chatham Granite Club, our local curling club. I have been the OLBA treasurer for the past two and a half years. It’s all about money – The key to making all of out programs work – membership, greens, the championships. For us the key is using the tools at hand such as New Horizons Grants and Trillium grants to pump money not just into the OLBA but individual clubs. Responsible for running seminars with undergraduate students, grading course materials and delivering lectures. 2004 – 2006 Executive Board Member of the Toronto Willowdale Aquarium Society responsible for producing their monthly newsletter. I have been a member of the Cobourg Lawn Bowling Club since 1998. I have served on the Executive of the CLBC since 2003 in the role of recording Secretary, Vice President 2016, President 2017, Past President 2018 and recording Secretary 2019. Over the past 15 years I have participated in a number of In-Club, Open, District and Provincial tournaments. In 2011 obtained my Club Coaching certificate and I provide instruction to new bowlers and visitors to the CLBC. Long-time member of the West Northumberland Curling Club in Cobourg, where I sit on the Facilities Committee, co-ordinate a league and organize an annual bonspiel, among other volunteer duties. During my 28 year career with the local school board, I worked in Human Resources gaining experience in policy writing, negotiations, labour relations, risk management and health & safety. In 1998, I obtained my Canadian Registered Safety Professional designation, now in a retired status. Very interested in Player Development, Risk Management and Board accountability for the member clubs of OLBA. Beyond being an active and enthusiastic player I have always worked to give back to my club and the sport. I built Highland Park’s website at 15 then re-built it in 2018. I ran Highland Park’s annual garage sale, generating 20% of the clubs operating budget, from 2014 to 2017. I care deeply about my club and the game of lawn bowling and wish to contribute in building the lawn bowls community. I have always believed in the importance of volunteering. I have volunteered with my employer’s United Way Charity campaign for the last three years. Primarily I will contribute my skills as an accountant; I work as an accountant in the public sector. I have significant experience in budgeting, forecasting, cost management, as well as strategic analysis and planning in a not for profit context. I am Chartered Professional Accountant candidate, writing the final qualification exam in September 2019. As well I have experience in web development and web marketing. I have built websites and managed social media profiles for a range of for profit and not for profit organizations. I was a social media manager for a national brand and also for my own firm. I also have done social media and online management for various community organizations including my own bowling club Highland Park. I started bowls during the summer of 2017 at Markham Lawn Bowling Club. In my two years there I’ve been involved in helping with tournament play, membership drives, grounds maintenance and planning strategic options for the clubs ongoing viability. I’m also in my second winter at Richmond Green Indoor Lawn Bowling club, I sit on the club’s executive as Vice President and I’ve initiated their Facebook presence and I maintained their website-in addition to on-going VP duties. Competed in many association-sanctioned tournaments, including the Novice Singles where I won my club and districts and enjoyed the provincials in Ottawa 2018. Read and recorded technical books for the blind. This entailed significant skills in digital technology (web, social media, development) Marketing, strategic planning and influence skills. I reported to the Corporate Chief Marketing Officer and President of Canada. My Team comprised of about 100 marketing and communication specialists. MBA graduate from Rotman School of Business. Vlunteer for Saanich BC – face painting, teaching assistant. Register or submit your proxy for this meeting. ​Registration will begin at 8:30 a.m. The meeting will start at 10:00 a.m.
Each club is allowed two delegates who must pre-register at least 7 days prior to the meeting. One of those delegates must declare as the voting delegate for the meeting. Each club should have at least one member present. ​Highway 401 to Highway 59 North Oxford Road. Then turn left at Juliana Drive to Bruin Boulevard. ​OLBA has blocked off a number of rooms for those of you wishing to stay at the hotel on the Friday evening prior to the meeting on April 27. We have a special rate of $94.99 for two queen beds in each room, smoking or non-smoking. Extra person is $10.00. Rates are subject to all taxes and levies. When making your reservation please indicate that you are attending the OLBA AGM. What's getting you excited today? How about finding out that MVP is the official sponsor of National Bowls Day? Want a chance to win a set of bowls for your club? All you have to do is sign up for National Bowls Day 2019! The event will unfold on the evening before the AGM on Friday April 26. It is in Woodstock at the Quality Inn 580 Bruin Blvd., Woodstock, ON, N4V 1E5 .Dinner at 6pm and ceremonies at 7pm. Contact Laura Seed seed@olba.ca for tickets. In the Conveners Wanted section of this newsletter, for the Novice Singles, please note that the Women are at Richmond Hill, Men are at Stouffville. This policy is designed to take effect as of March 10, 2019. Applications for events prior to March 10, 2019 will be covered by the prior cooperative advertising policy that only covered 50% of curling club advertising using the OLBA “Give It A Try” graphics materials. To give clubs more flexibility in advertising clubs may now apply for a 50% rebate on all advertising using the Give It a Try graphics materials. This advertising is subject to the following conditions. The OLBA Give It a Try logos and graphics material must be used in any printed or electronic or visual material. Maximum reimbursement in a given OLBA Fiscal year per OLBA club is $500. For example, if a club spent $1000 on print advertising with the Give It a Try graphics. It would receive $500. Spending more money on this advertising will not produce any further rebate. The total funds in the program are $5000 and are to be dispersed on a first come, first served basis. Additional funds may be allocated to the program at the discretion of the Marketing Chair if there are unused funds in other areas of the Marketing budget. The following material must be provided to get reimbursement a) a photograph or image or copy of the advertising using the Give It a Try graphics b) a cancelled cheque indicating the money spent on the advertising and/or c) a signed or stamped invoice from the recipient of the advertising spending. Claims submitted without these proofs of payment will not be covered. The group or person spending the advertising dollars and the recipient cannot be the same group or person. If the advertising is already subsidized by the OLBA via another program, it cannot be subsidized again through this program. Claims will be submitted to the Marketing Chair and forwarded to the Treasurer after they are approved. It is hoped that by giving clubs more flexibility to advertise in different areas, that it will encourage clubs to increase their Marketing spending.